Rapidly increasing numbers in mobile communication result in more and more smart cards being used in the mobile area. Access control, data encryption, network security (wireless LAN) as well as secured financial and governmental transactions (e-banking, e-government) are some central topics in the mobile world. Thanks to their flexibility smart card readers from OMNIKEY are the preferred solution for those applications. 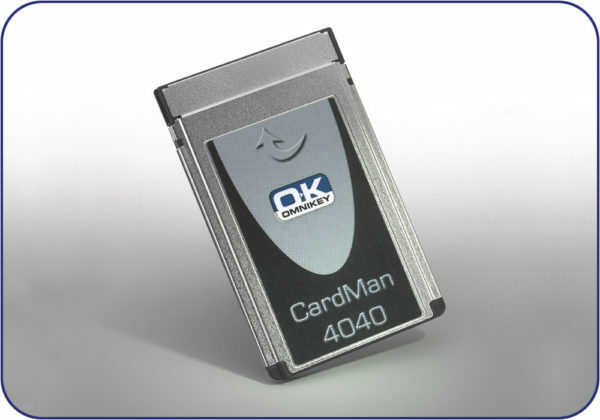 Fastest PCMCIA smart card reader on the market with up to 420 Kbps data transmission rate. EMV 2000 Level1 certified mobile reader. PC-card for mobile use in portable computers, notebooks, PDA’s or set-top-boxes via PCMCIA slot. Customized labels are an option. with Card: up to 420 Kbps. T=0, T=1, 2-wire: SLE4432, SLE4442 (S=10), 3-wire: SLE4418, SLE4428 (S=9), I˛C (S=8), SLE 4404. WHQL (Microsoft), EMV 2000, PC/SC.